Baking? Where did that come from? I recently found myself at a Band of Bakers event, what’s that, I hear you cry. Well before I turned up I wasn’t overly sure, or really how I ended up there in the first place. As with many things it all started with my husband, he had seen a random re-tweet from Franklins mentioning that they were going to hold a Band of Bakers event, and sent it onto me to see if I was interested. This was odd for three reasons, I hadn’t really baked all that much, or shown an overt passion for it, and finally H doesn’t really eat a lot of cake, so what did he have to gain from me getting a new interest? Despite all this H had a feeling it might be something I would like (he’s good like that), and by jingo, I did! A history of my baking…it’s very small! I had baked at school, big gap, no baking, barely good cooking, then earlier this year I baked three cakes – a Raspberry Bakewell, a Carrot Cake & Fairy Cakes. 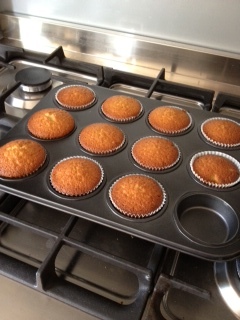 I managed to burn the Fairy Cakes – Rubbish. 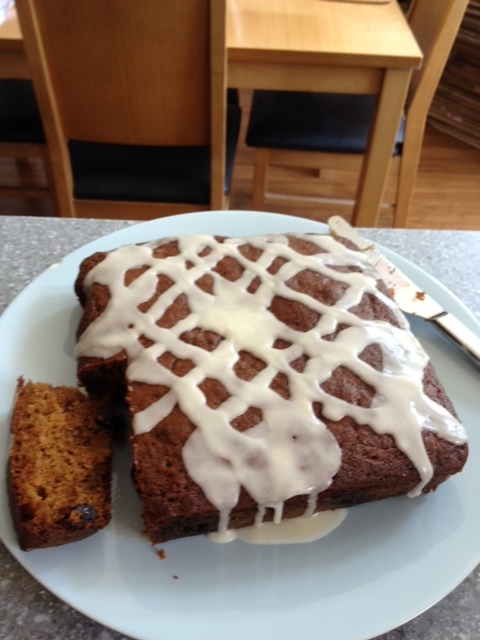 The Carrot Cake recipe scared me due to the amount of oil you had to put in it – hello heart attack! 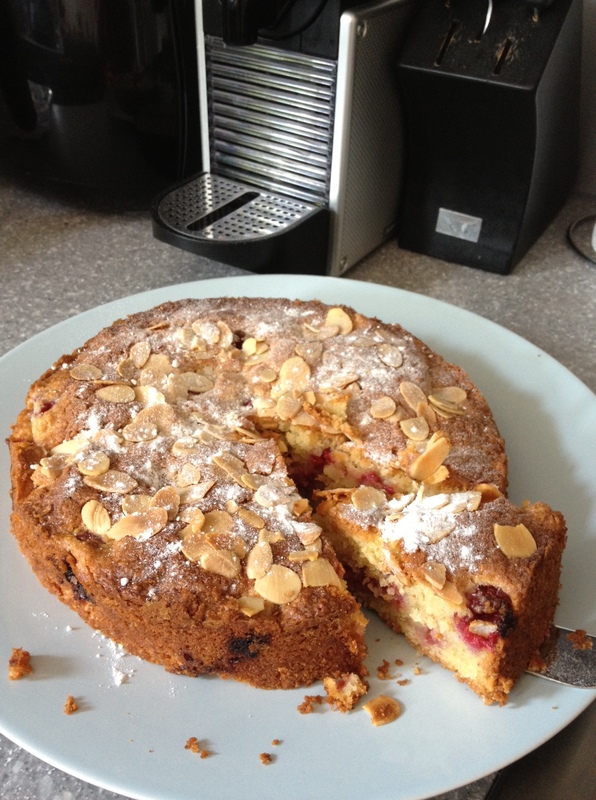 As Goldilocks once said, the Raspberry Bakewell was ‘just right’, and very easy – SCORE! Ok, Ok I sell myself short, as I have made quiches & pasties before, oh and a Key Lime Pie, but the latter wasn’t baked, so doesn’t really count. With the success of the Bakewell in my mind, and much deliberating as to whether I would be good enough, or whether I was social adept enough to make new friends and whether I was ready to have a new hobby (it takes commitment you know, like cake boards, a stock of ingredients on hand at any moment! ), I sent an email to see if there were any spaces left. There were! And the theme for the bake was ‘Retro Bakes’…Hmmm! Now I had a problem, as this meant research and learning something new. I decided to practice what I knew, and look at an alternative. I attempted to bake a twist on an Eccles cake (basically a sponge with fruit in it), but it appeared that I had too much mixture for my tin. The result was a molten volcano of cake erupting in my oven – tasted good though! I decided for my first outing to just go with what I knew. The word Bakewell in the title was enough for me to think it was retro, and I think I got away with it. 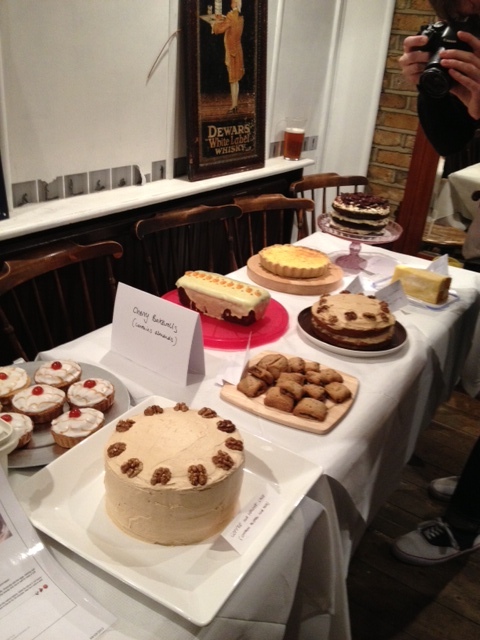 There were some fantastic bakes there, including a Quiche (Damn, I knew how to make them too! 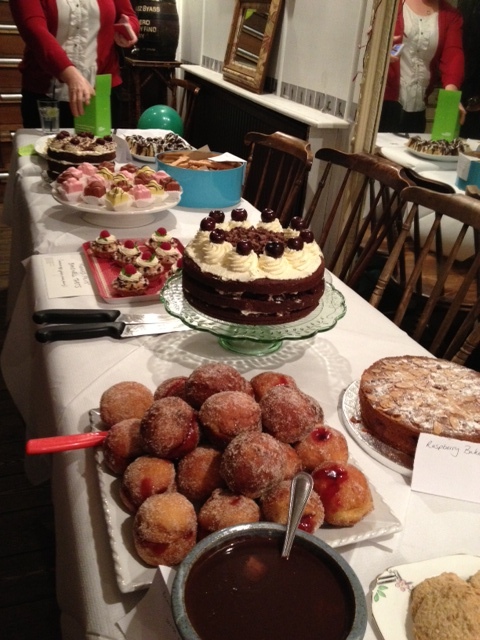 ), lots of Black Forest Gateaux, Battenburg, oh and Fig Rolls, amongst many great really retro bakes. Mine was probably the simplest cake there, and it looked like the only people who tried it where the girls I spoke with – very polite, but I had a great time. It was definitely a good starting point to get more adventurous and to see how good everyone else – VERY! The event is very well organised by two lovely local ladies, who obviously have a great passion for baking, blogging and tweeting away about their popular passion. A passion that is somewhat infectious, leading me to realise that baking is fun, not as hard as I thought, and a very novel way to make friends.